Hotel Anthony’s swimming pool is a place of wellbeing and tranquillity dedicated exclusively to our guests. Equipped with sunbeds and beach umbrellas, this area is ideal for a moment of relax. In addition, there is a second, smaller swimming pool where our guests can entertain their children safely and without worries. The smaller pool is drop-shaped and is 50 cm deep, perfect for entertaining children and babies. Easy access is provided by a few steps and you can sit all around the sides making it perfect for the adults who supervise their children and for the children themselves. An ideal place for the whole family! You will also be able to sip an aperitif at the side of the swimming pool at any time during the day. For both breakfast and lunch a rich buffet is served on the seafront view terrace, that becomes a beautiful backdrop for these social moments. 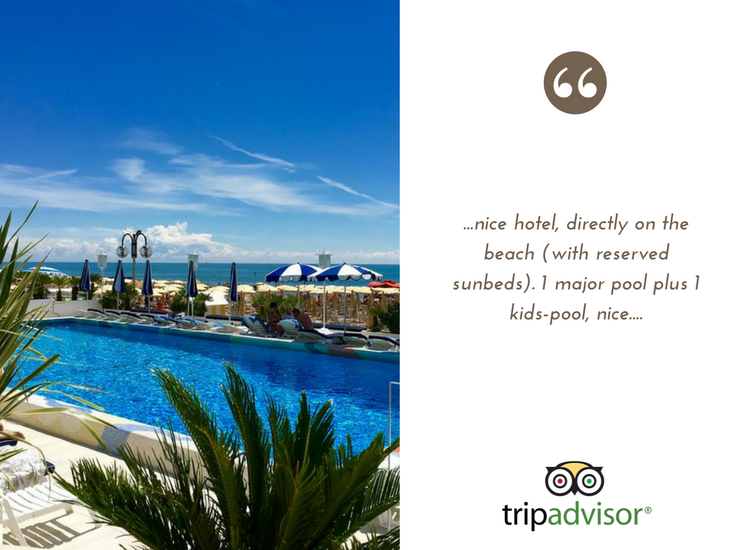 Our hotel with swimming pool and seafront view will allow you to experience breath-taking feelings, from dawn to dusk.